While Tesla may not have the same volume sales as the Germans, they certainly have matched their competition in quality and desirability. For luxury car dealers the pre-owned market is just as important as selling new models, now Tesla stores want a part of the CPO action. Tesla's vice president of communications, Simon Sproule told Automotive News that they have announced a plan to create a certified pre-owned program similar to BMW, Mercedes, and Audi. "With the Model S fleet now heading toward the first cars hitting three years old...we are looking at CPO and how best to structure." A Mercedes or a BMW buyer knows their car will be worth something in 3 years or so. When people first started purchasing the Model S, resale value was unknown; the technology and the brand was not yet proven. So in April 2013 Elon Musk announced a personal guarantee regarding the resale value of a Model S. Musk told owners that they could sell their Model S back within 3 years for up to 50% of its original retail value. Musk is so confident in residual value of the Model S, he would even buyback the cars himself. Creating a demand for pre-owned Model S vehicles shouldn't be a problem. Supply is already limited and with a starting price of around $70,000 there are plenty of people who want one, but don't have the cash. Furthermore, with Tesla's business lease program in addition to the Model X and Model 3 becoming available within the next few years, the number of Model S trad-ins should be plentiful. Of course there are several questions as to how will Tesla stores handle CPO sales. Fixed pricing on new cars is fairly easy to maintain, but when used vehicles are being brought in on a trade, resale value is dependent upon age, condition, and mileage. No two pre-owned cars are ever identical. Will there be pre-owned price differences from store to store? Also, where will Tesla stores keep these CPO cars for inventory? Luxury car dealerships have vehicle lots, Telsa stores don't have that kind of space at their disposal. Lastly, Most CPO programs offer some kind of additional warranty coverage, Tesla is still working out the details. What Is A "Certified" Pre-Owned Car? 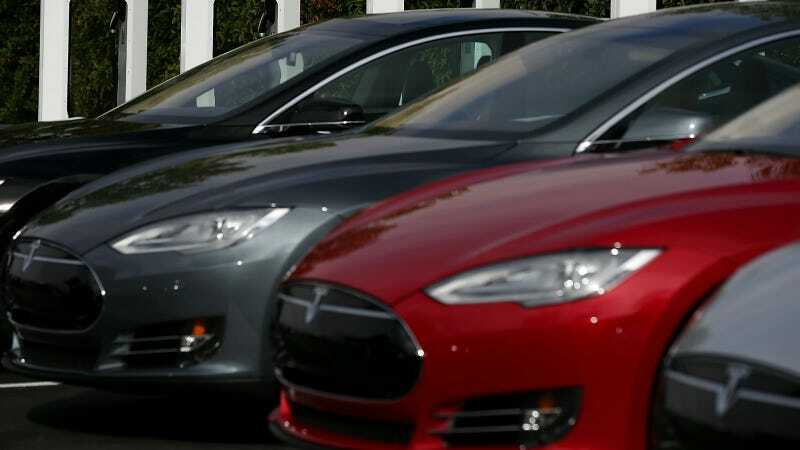 There is also the issue of Tesla overcoming legal hurdles to become a used car dealer. The automaker has faced heavy resistance in many states just to sell new cars, they may be gearing up for an even more difficult battle as they shift into pre-owned sales.